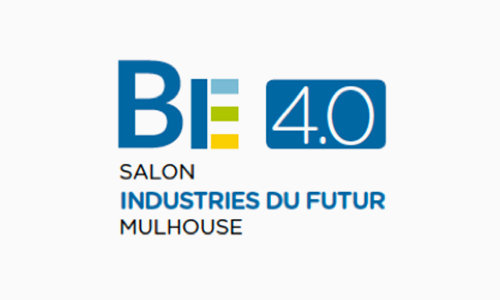 Together with our Partner Usitab we will exhibit on the show Industry of the future in Mulhouse on November, 20th und 21st. Our booth is N-17! Industry 4.0 with existing machines, that works! We show you how to measure and monitor digitally the performance of your machines (also without computers). Industry 4.0 without great infrastructure, that works! We how you, how you to digitalize the entire work space of the machine conductors within 1-2 days of installation and training. The whole production is always working with the latest information. In case you can not come, please do no hesitate to contact us. We come to you! Call us! TOWARDS THE INDUSTRY OF THE FUTURE! Participate in 2 exceptional days dedicated to business, exchanges and innovation! highlighting the operational excellence and creativity of 230 solution providers in France/Switzerland and Germany! encounters with European industrialists and experts of the 4.0 transformation via conferences, round tables and feedback. the presence of Grand Est players who will advise and accompany companies towards their 4.0 transition, the backing of French 4.0 promoters, from Bade-Württemberg and Switzerland!